Intellijoint HIP 3D Mini-Optical Navigation System Available in the U.K.
Intellijoint Surgical Inc., a privately-held Canadian medical technology company, announces entry into the European market beginning with the United Kingdom (UK). Intellijoint Surgical’s flagship product, Intellijoint HIP, received CE Mark (Conformité Européenne) approval in October 2017 and has recently completed registration for entry into the UK. 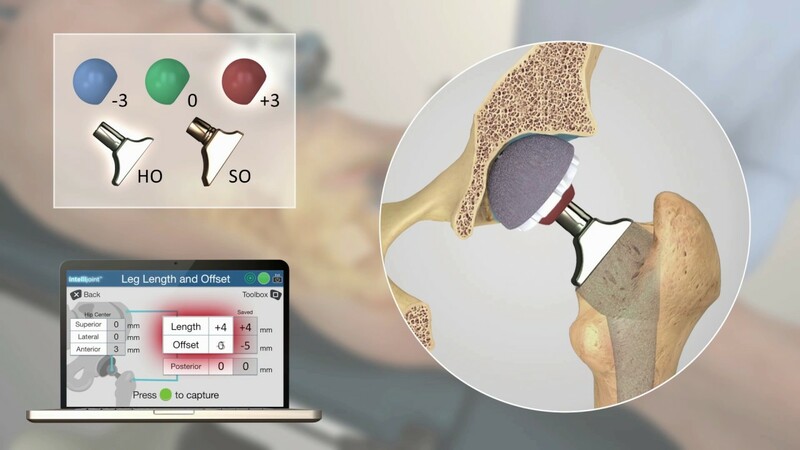 Intellijoint HIP is a 3D mini-optical navigation system that provides real-time, intraoperative measurements for cup position, leg length, offset, and hip center of rotation for total hip replacements (THR). This navigation system is suitable for primary or revision THR, regardless of surgical approach, and is compatible with all implant vendors. With an added average operating theatre time of only 2.9 minutes, it is very fast and orthopaedic surgeons become efficient users within five procedures or less. It is accessible and affordably priced, enabling hospitals to ‘pay as you go’ as an alternative to large capital investments. Intellijoint HIP provides cup position angles accurate to within less than one degree and leg length measurements accurate to within 0.3 – 0.8 millimetres. Two clinical studies have been accepted for presentation at the ISTA 31st Annual Congress in London October 2018 that further discuss the added accuracy Intellijoint HIP brings for delivering a functional cup position and how Intellijoint HIP can reduce dislocation rates post revision THR. If you are a surgeon, hospital administrator or distributor in the UK interested in learning more about Intellijoint HIP, please visit http://www.intellijointsurgical.com and contact us at sales@intellijointsurgical.com.